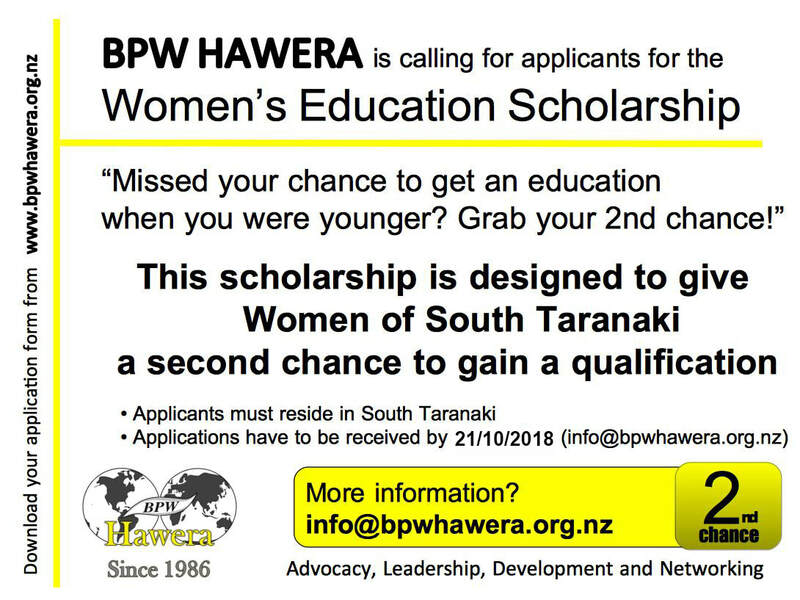 BPW Hawera awards a Women’s Education Scholarship, a sum of money to a recipient who is looking for a second chance at education and needs assistance with meeting the costs of that education. The grant is up to $1000.00. We will also try to match the successful applicant to a BPW member who has experience and expertise in the area of your study. They will be available from time to time over the year to support and mentor you through your studies. Applications close 21 October 2018 and is awarded on 19th November 2018 at the monthly BPW dinner meeting.